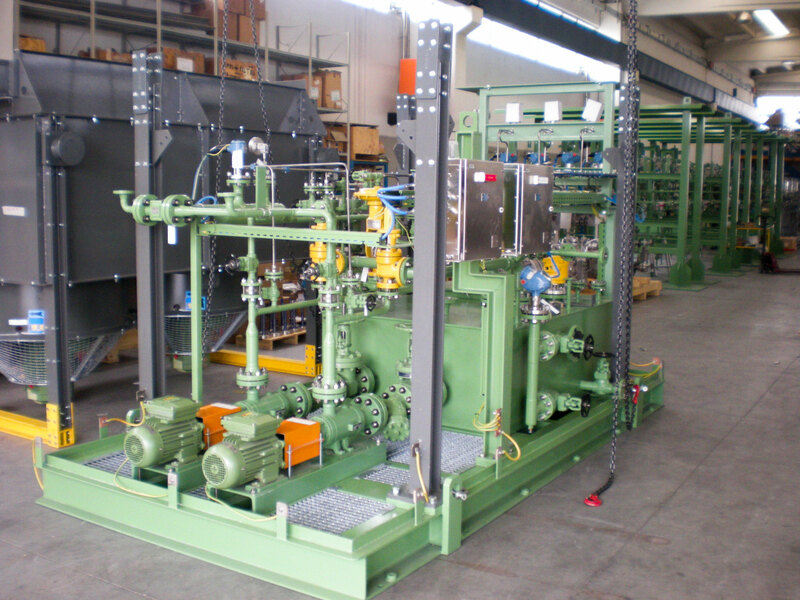 Protec, established on 1989 with a team of qualified engineers / workers, is the leader in creating fluid & lubrication systems, producing systems of different types and formats. 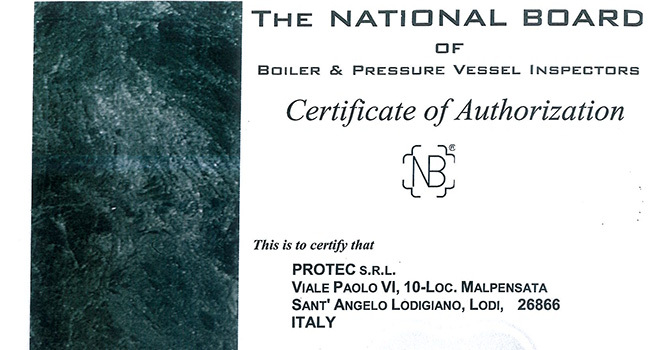 Protec is proud to be able to take advantage, not just of patented components, but also of solid experience accrued over several years of activity, and also an innovative quality system. 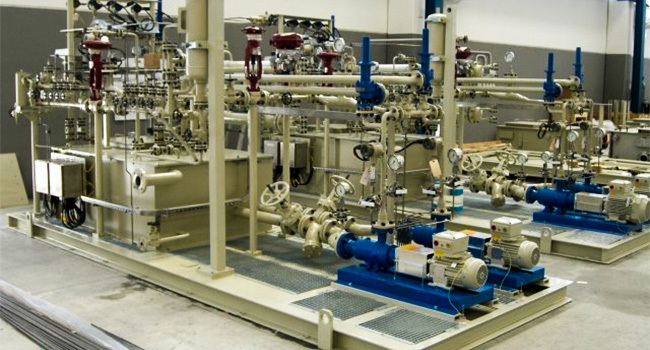 We ensure the realization of dependable and technologically avant-garde solutions. 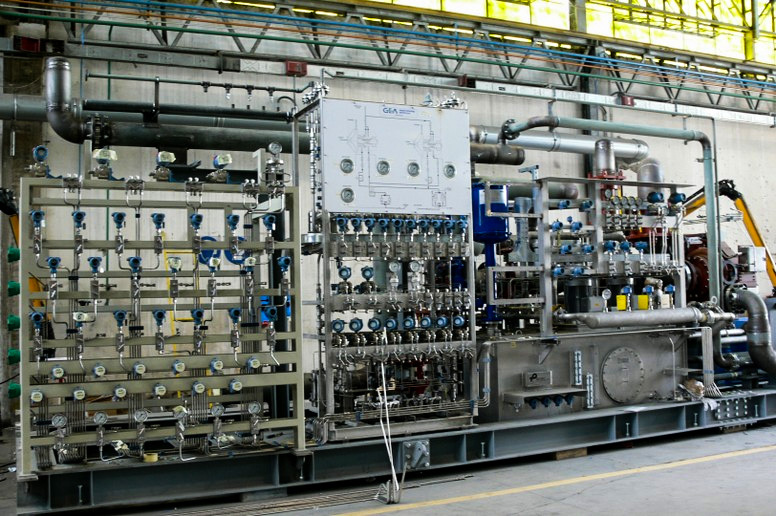 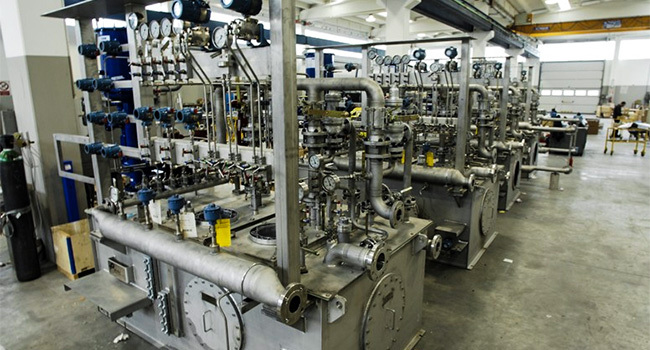 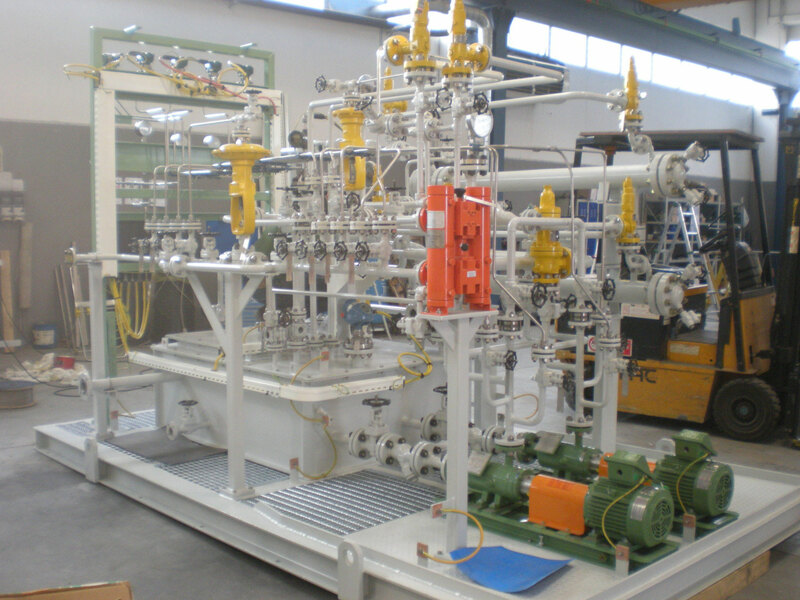 Protec operates in all stages, from the engineering aspects, to the production of complex systems, guaranteeing complete conformity and consistency with the particular methods e techniques as specified by the client. 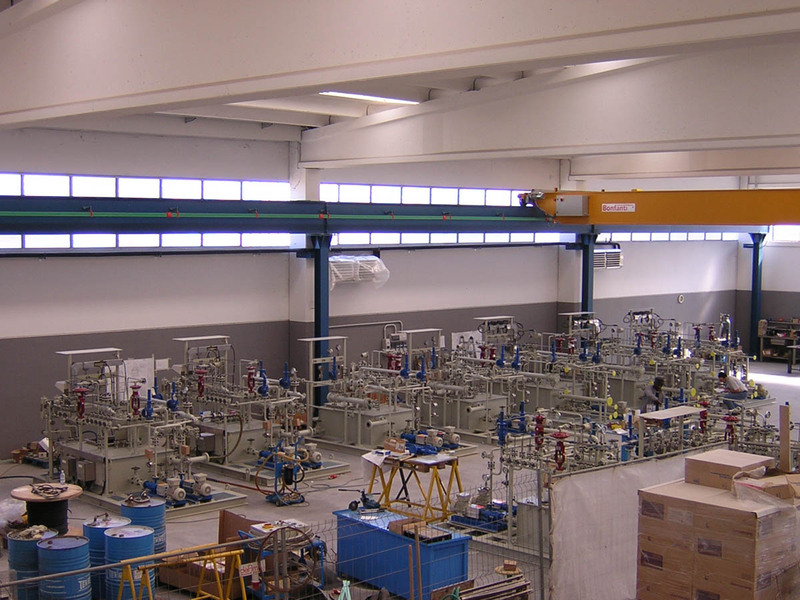 Our team’s experience guarantees exceptional levels of support for the client during each stage of the contract, in the planning and design stages, the realization and after sales service. 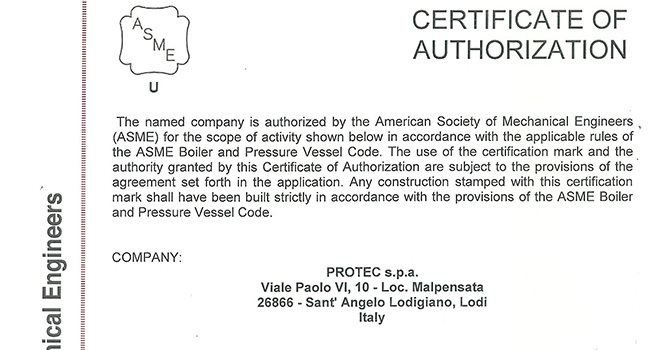 In the 2004, Protec moved to a new larger site in order to meet the last years business continuous increasing. 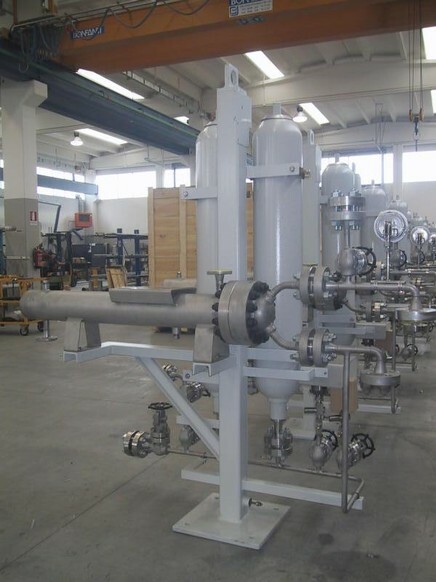 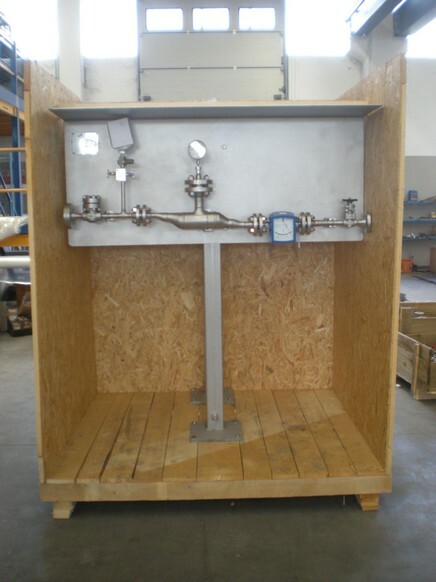 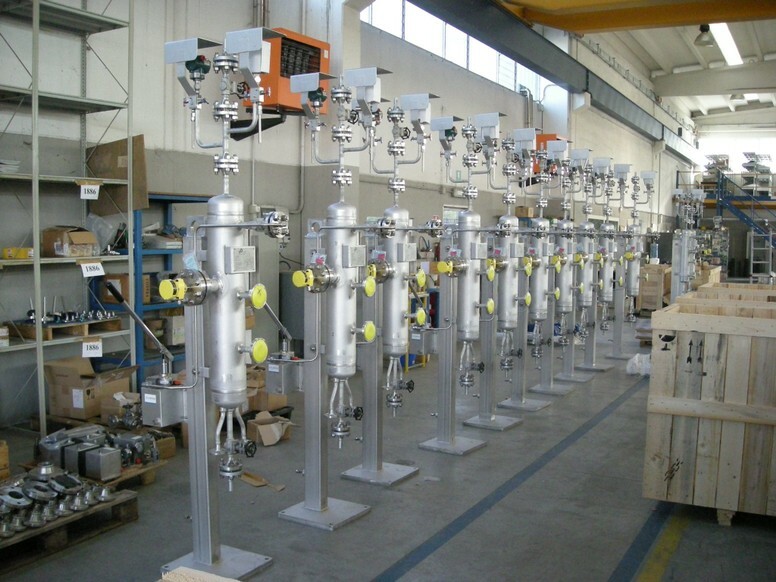 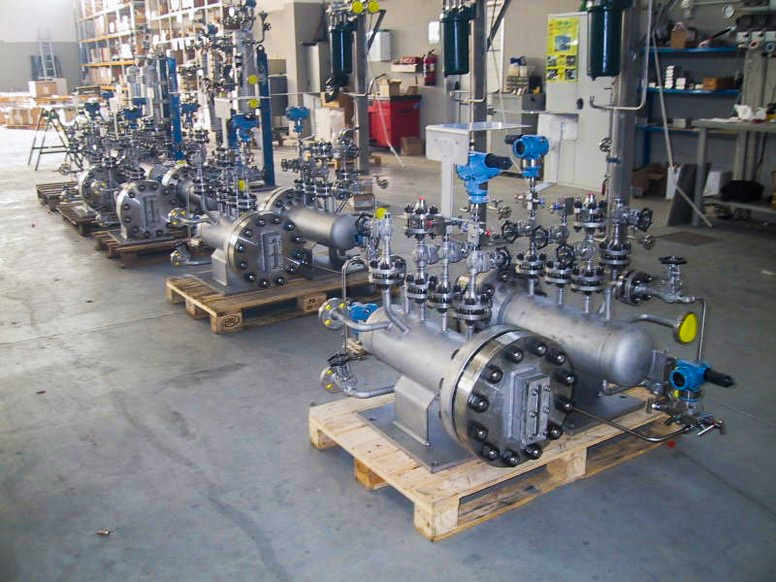 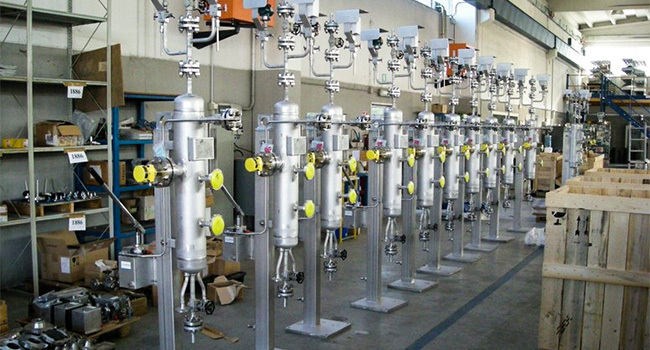 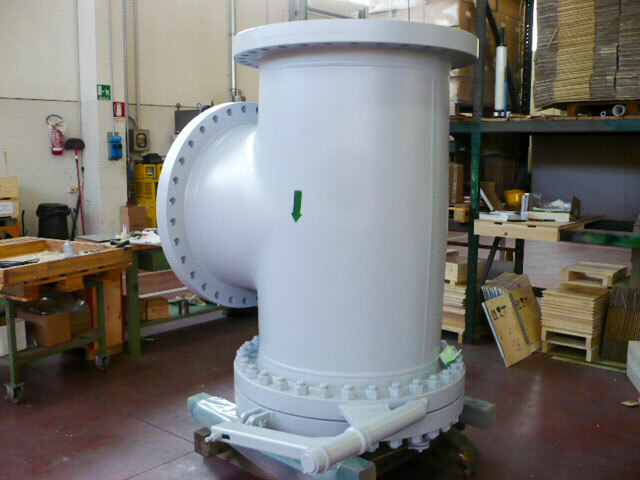 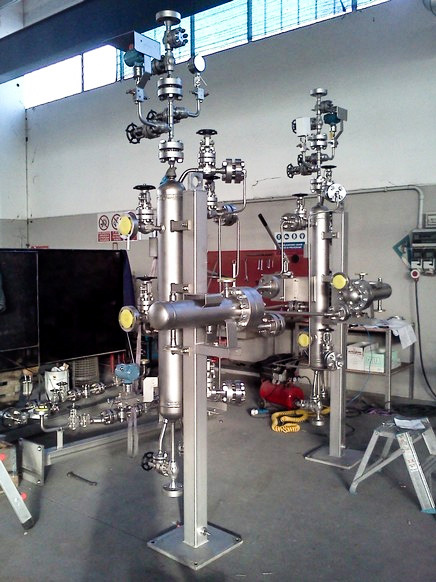 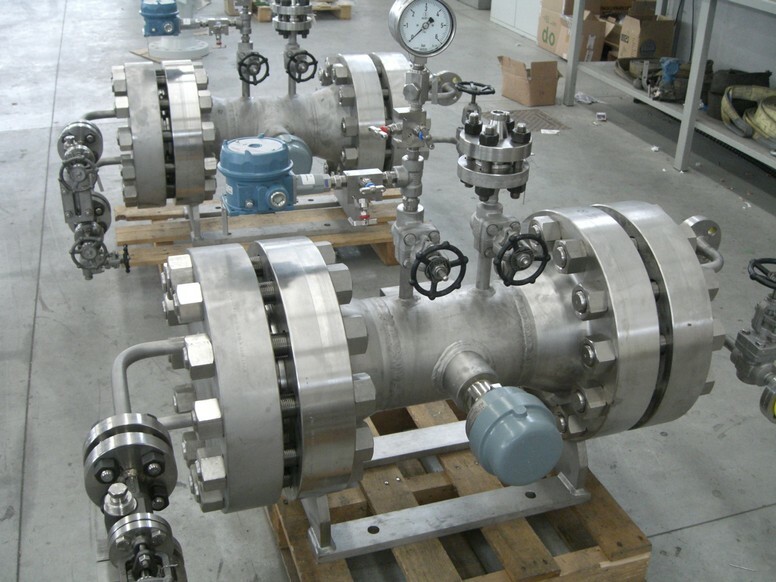 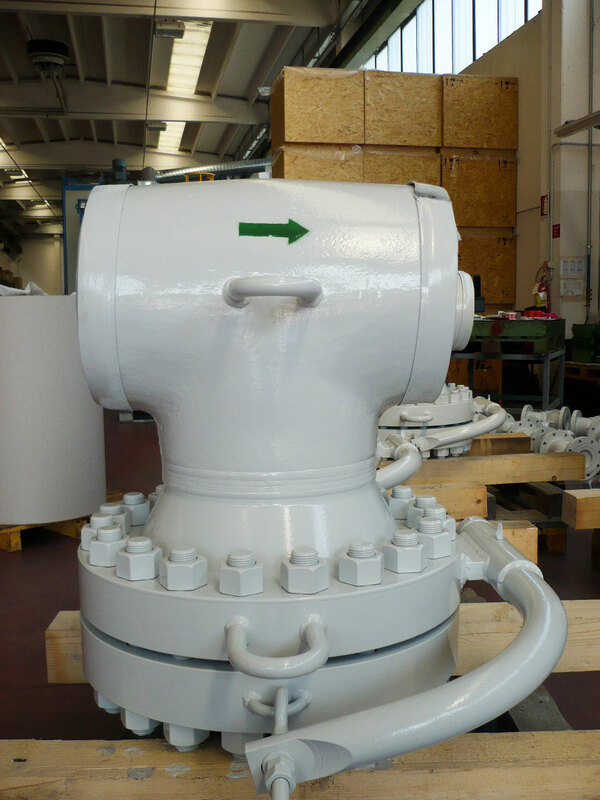 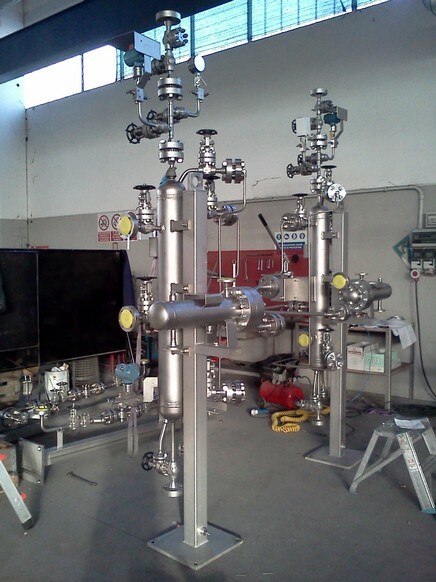 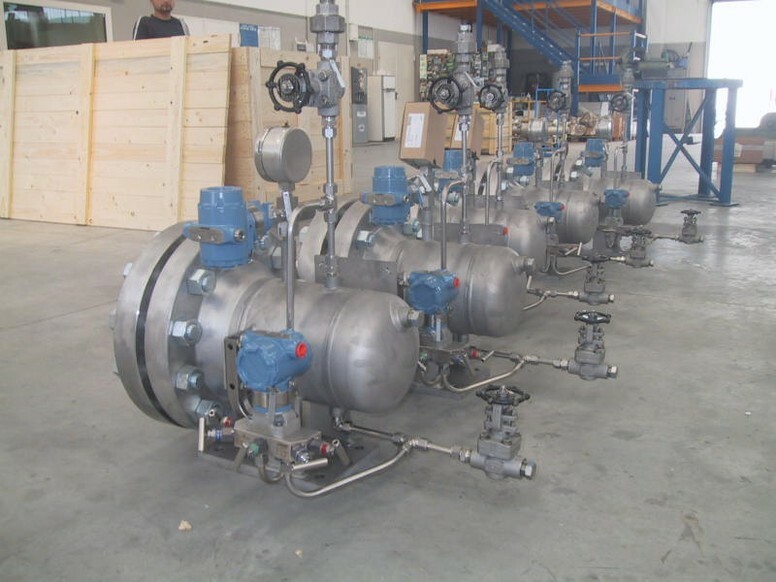 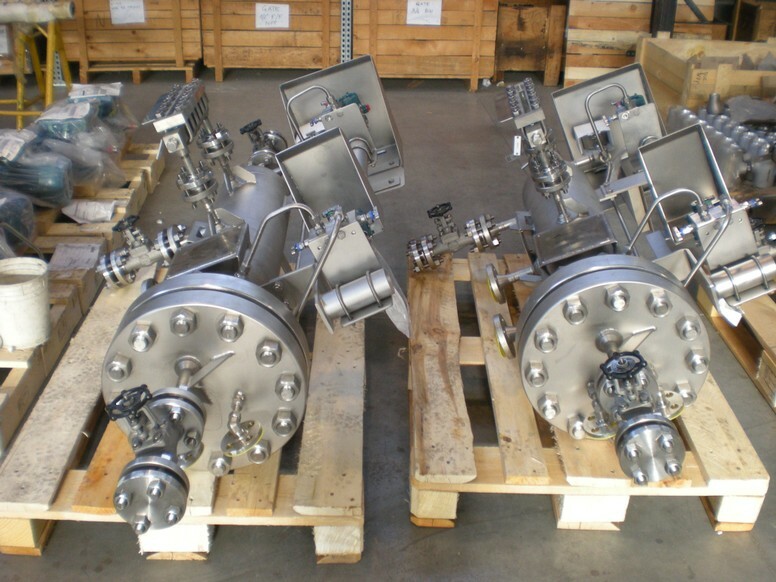 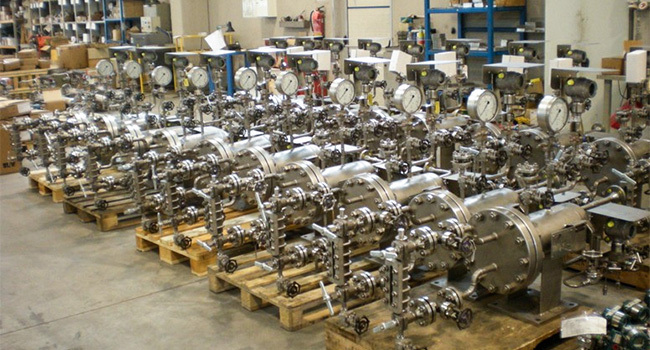 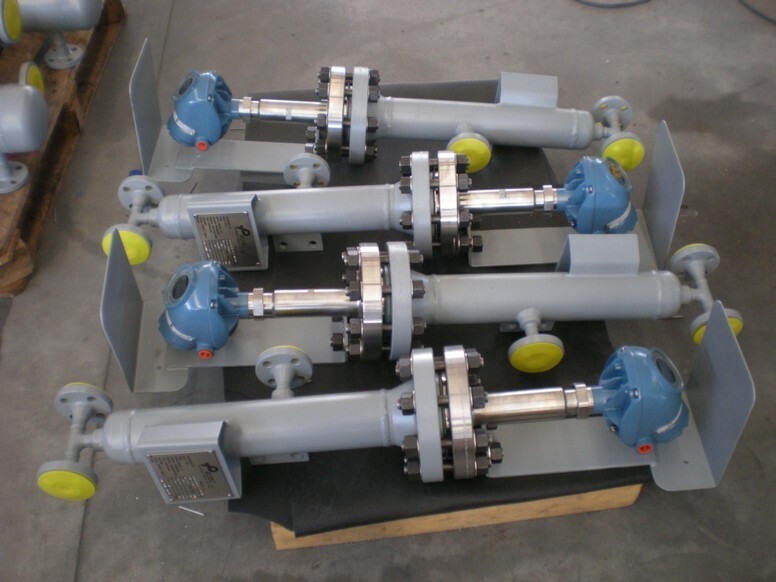 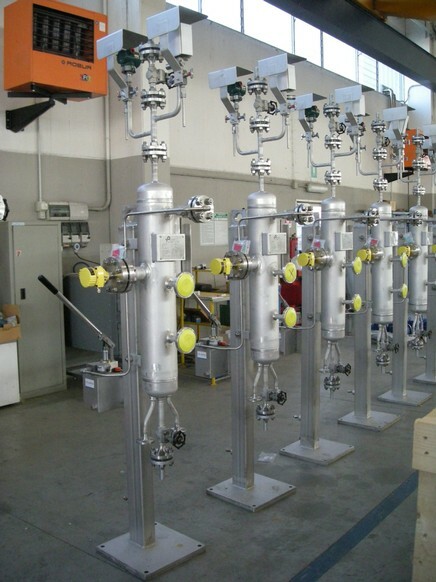 Since 2015 Protec is part of LVF group and expanded its manufacturing range introducing following products: Manifolds (for steam supply and condensate collection) and Strainers (Basket, Tee, Conical, Lateral, Y type). Lube Oil Systems are designed to provide pressurized lubricating oil to various types of industrial rotating equipment like compressor turbines and generator. 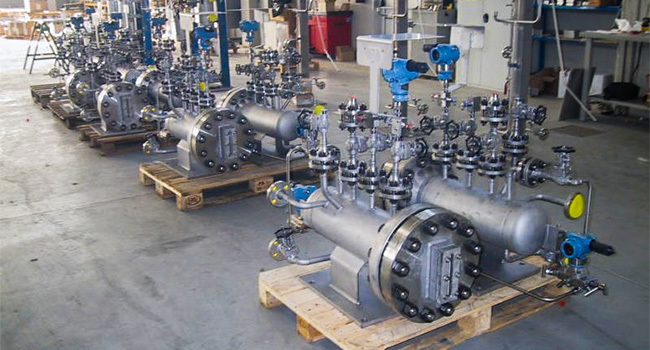 Lube Oil systems are designed to ensure the proper thermal and physical condition and cleaning, and providing a stable film of separation between the shaft and the bearing under all the operating conditions.This is of primary importance for the safety, availability and continuity of service of the machines.Typically, these lube oil systems include pumps, heat exchangers, filters, controls and instrumentation. 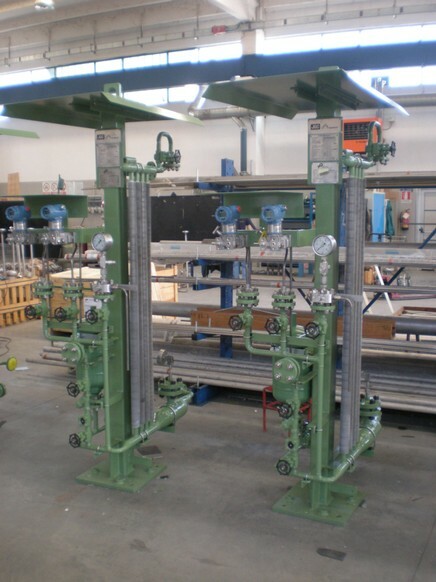 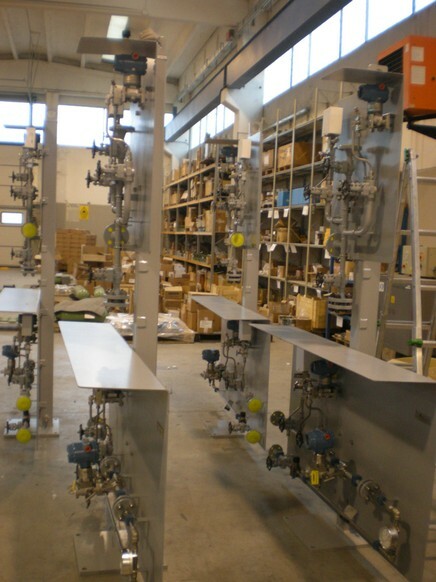 Built under controlled conditions in a fabrication facility, systems are mounted on structural steel bases designed for easy and safe transport to the end-user’s facility. 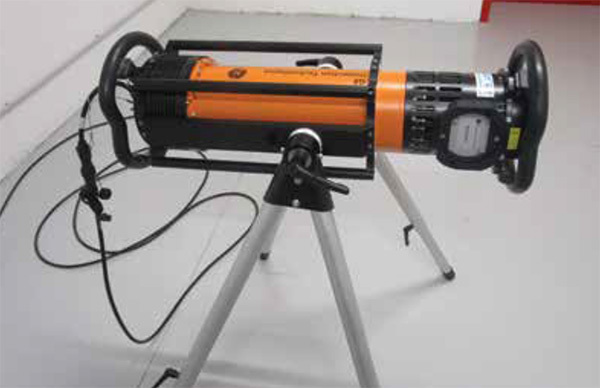 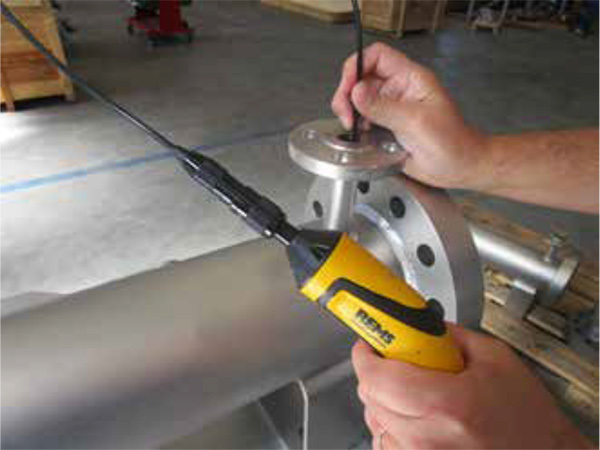 API Plan 54 utilizes an external source to provide a clean pressurized barrier fluid to a dual pressurized seal. 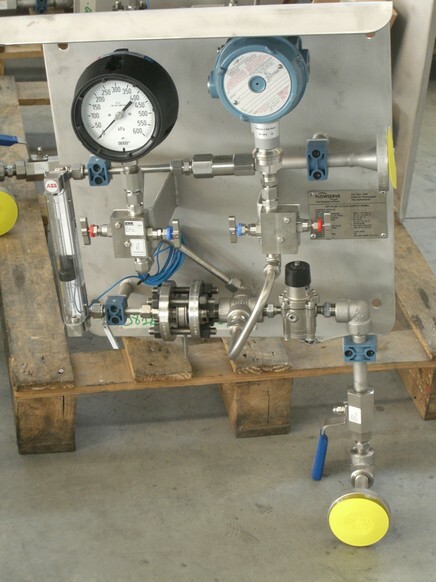 This system can range from a process pump in the operating unit providing this fluid, to a simple lubrication system with minimal components, to a fully instrumented system with complete redundancy designed to alarm against, and prevent, malfunctions and process upsets. 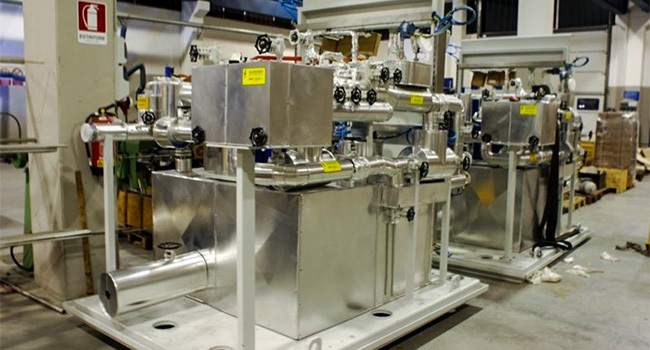 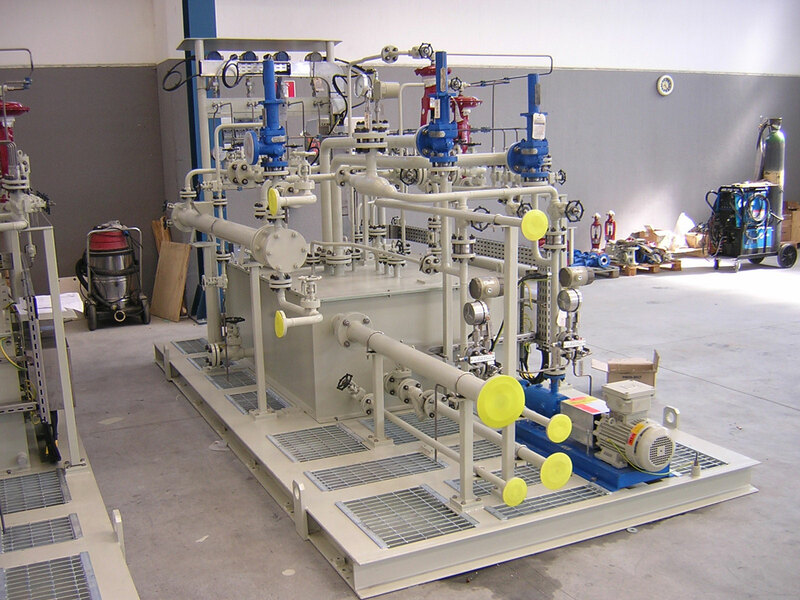 The intent of this flush plan is to isolate the process fluid from the atmosphere, either for environmental considerations or the fact that it creates an unsuitable environment in the seal chamber. 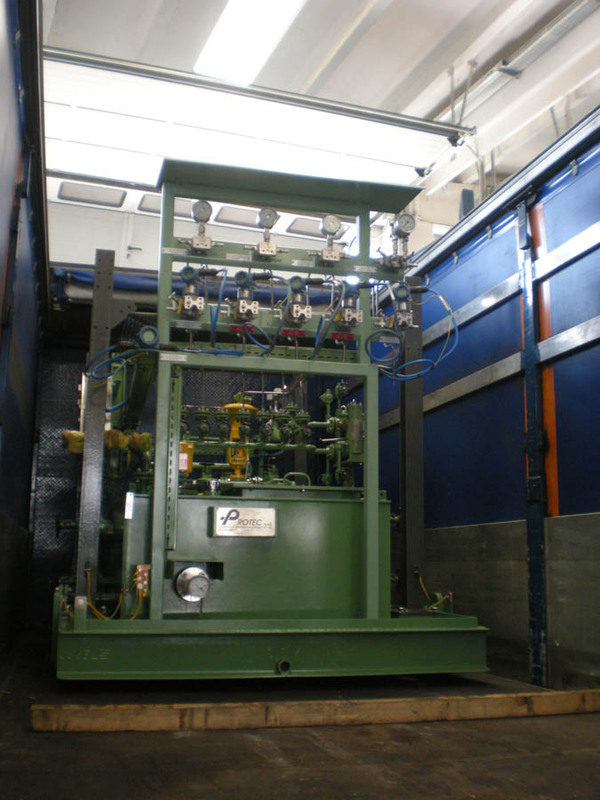 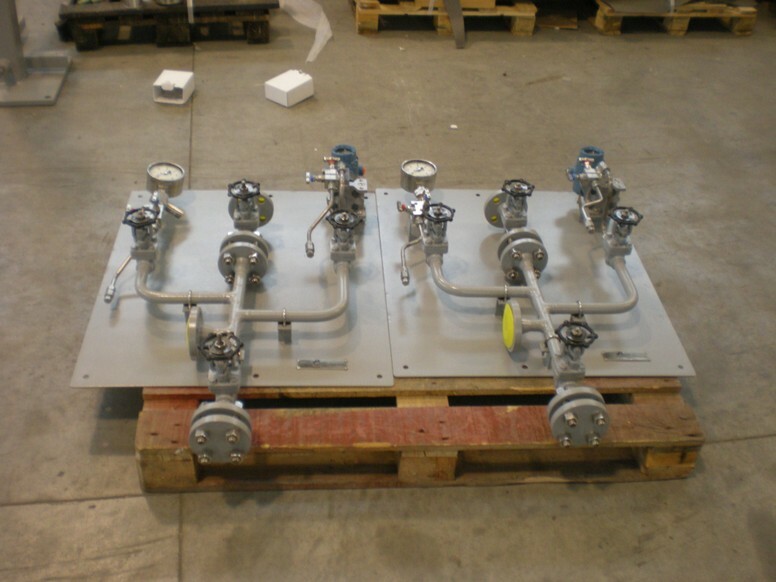 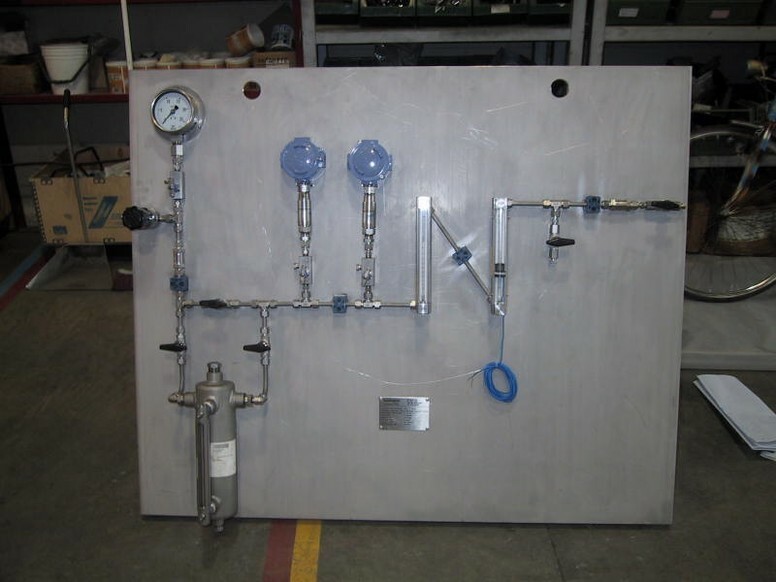 Seal Gas Panel is a system designed to supply seal buffer gas to the shaft seals of various rotating compressors, providing containment of these process gases. 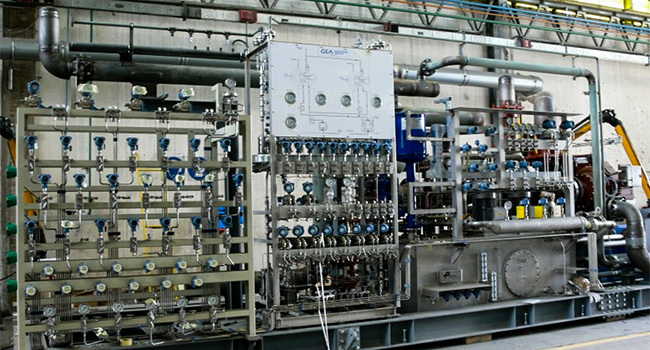 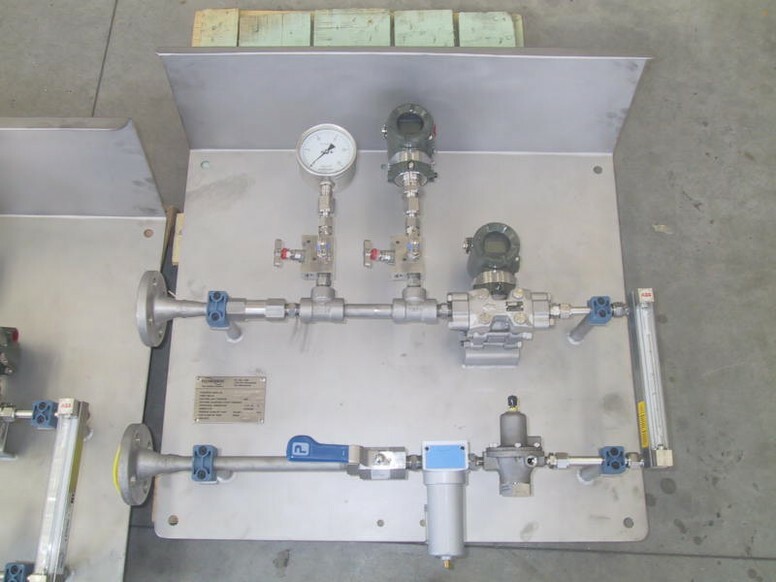 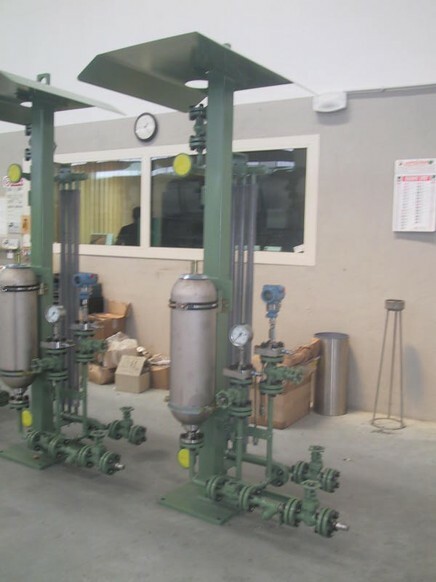 The panel is a customized solution and includes filters, pressure/flow control valves and various instruments to condition, control, and monitor the gas into and out of the dry gas seals. 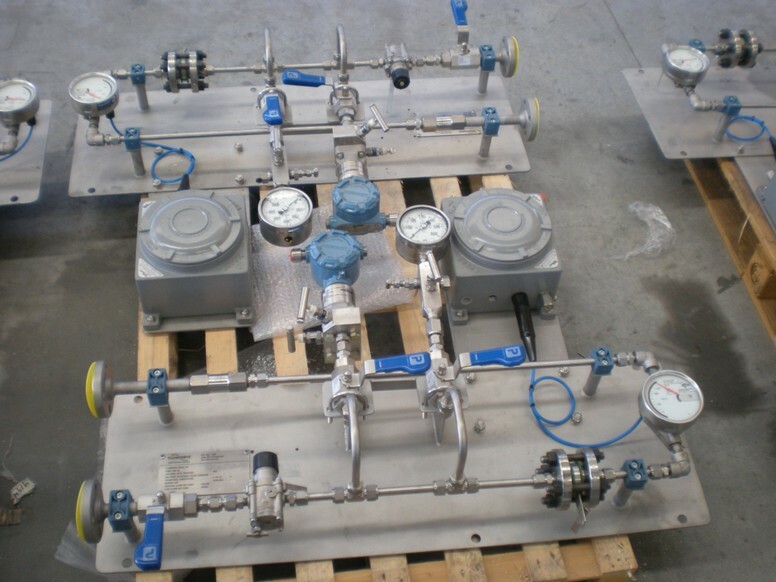 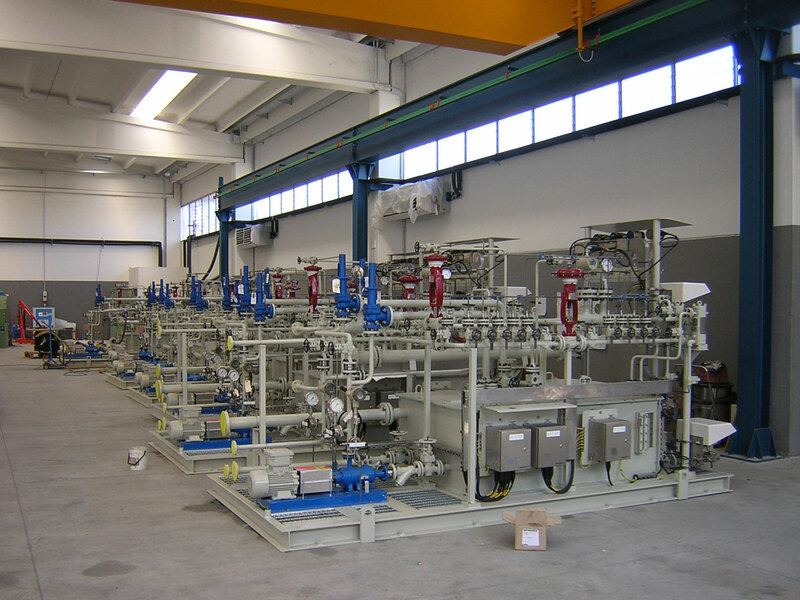 Arranging all of the instruments in one location near the compressor package simplifies the mechanical, process piping and electrical installation. 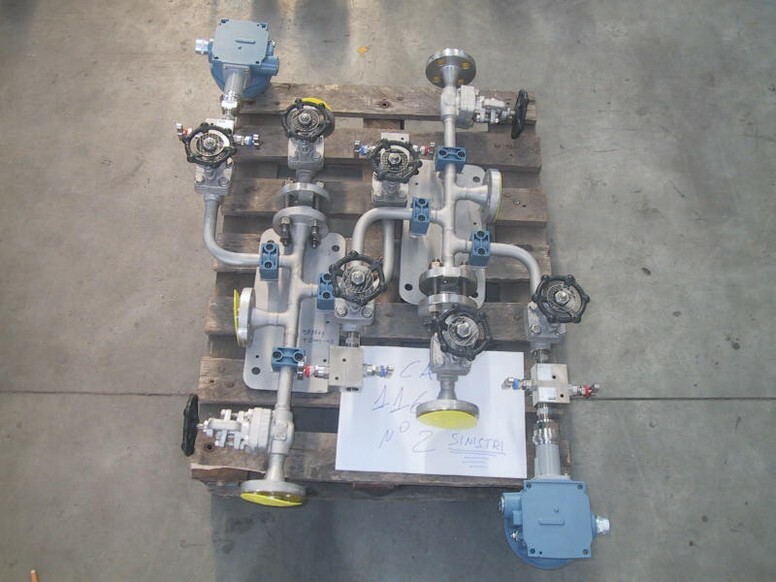 Piping Plan 53B provides barrier liquid to Arrangement 3 dual seals at a pressure above the maximum (process pumped fluid) seal chamber pressure. 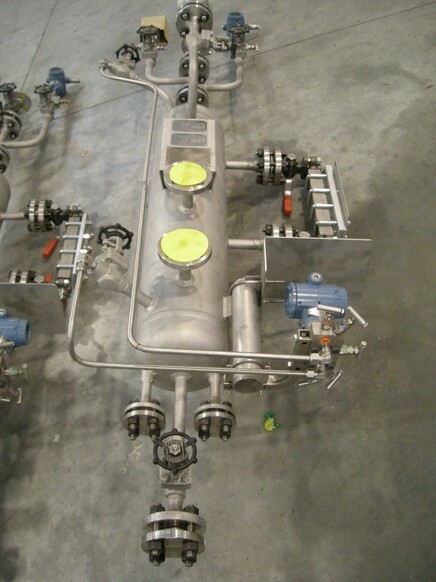 In Plan 53B, there is an external barrier fluid system pressurized by a bladder accumulator supplying clean liquid to the barrier fluid seal chamber. 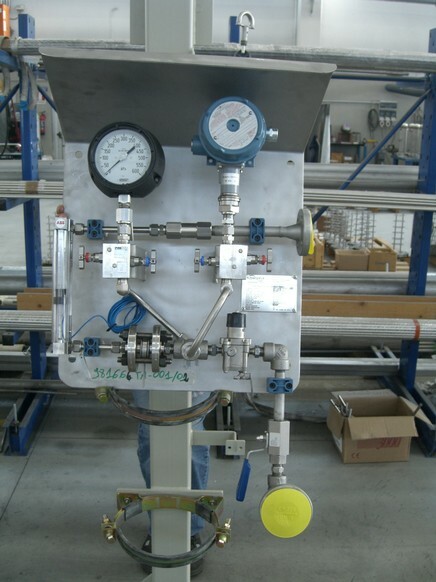 The accumulator and barrier liquid are maintained at a pressure greater than seal chamber pressure. 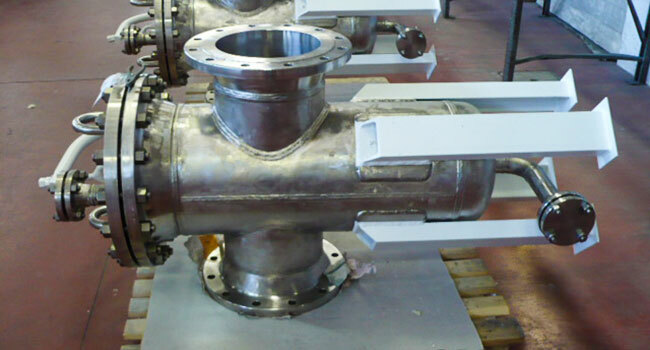 Inner seal leakage will be barrier liquid leakage into the product. 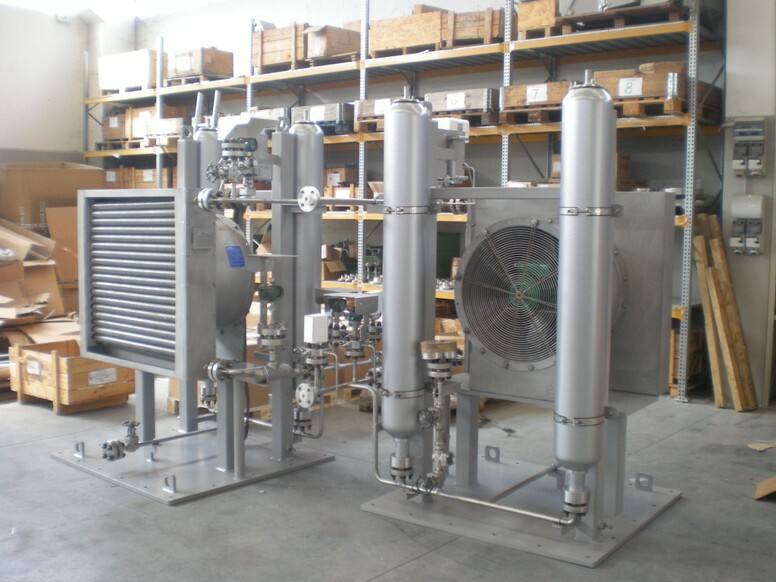 The circulation is guaranteed by a circulation device and a water cooler or an air cooler maintains the liquid at the correct temperature. 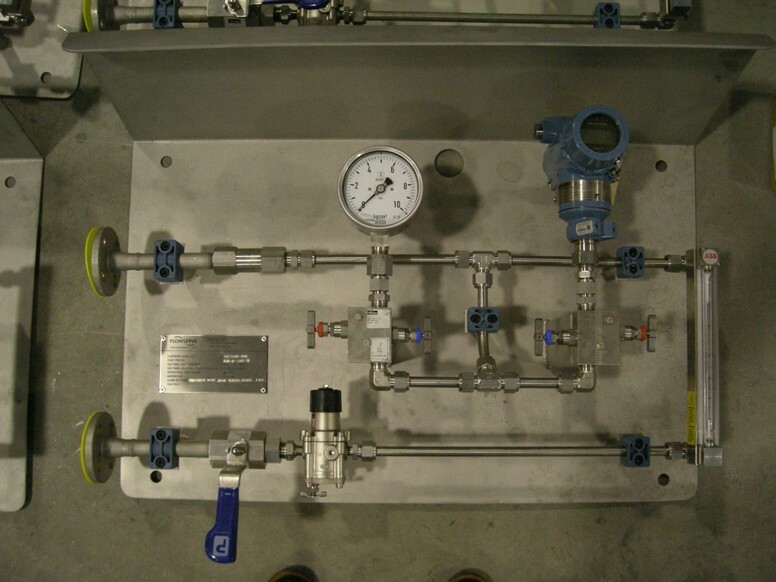 Plan 52 is used with Arrangement 2 seals, with a contacting wet containment seal utilizing a liquid buffer system. 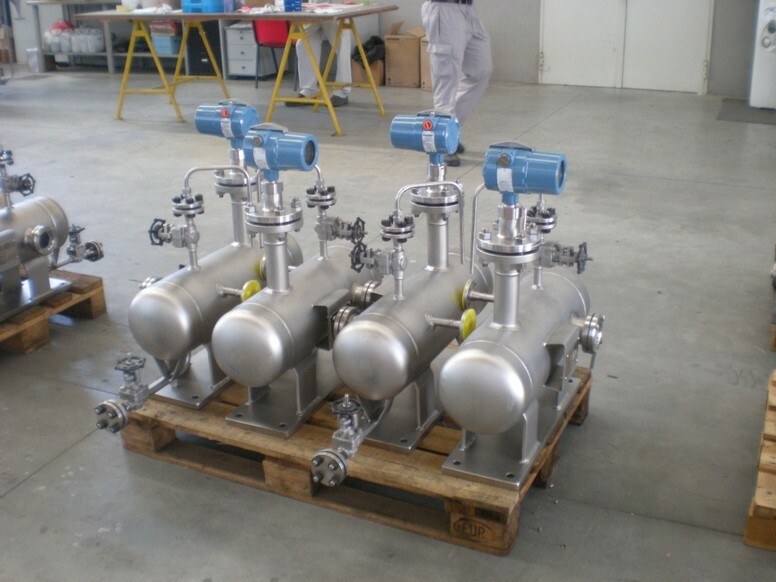 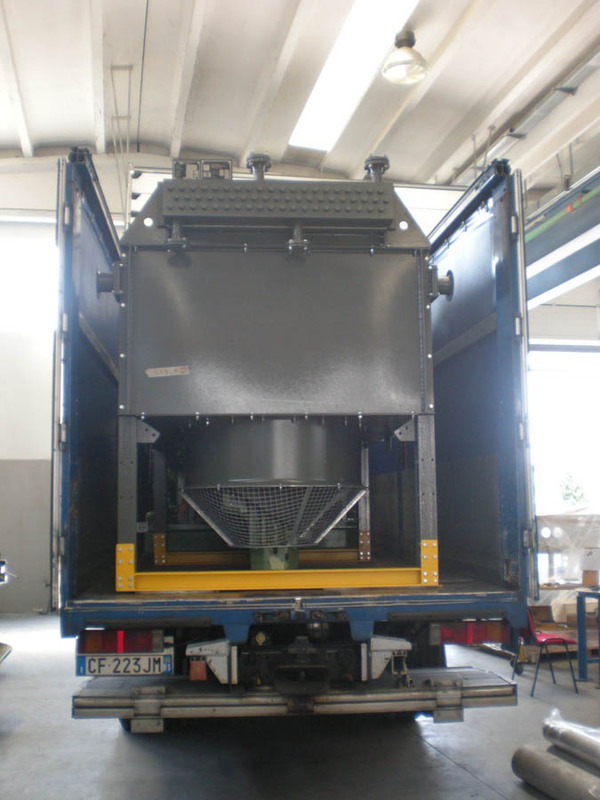 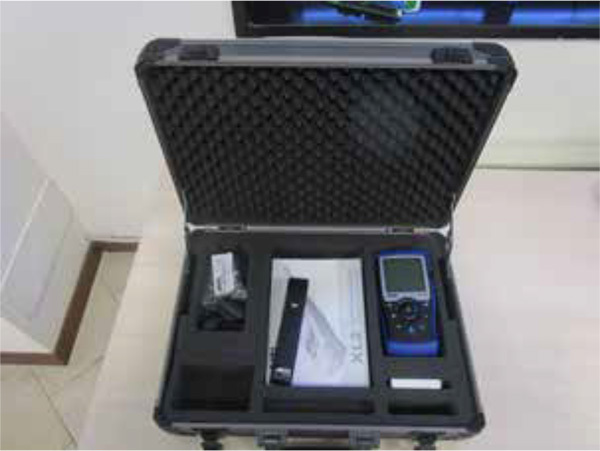 It is normally used in services where process fluid leakage to atmosphere must be minimized and contained. 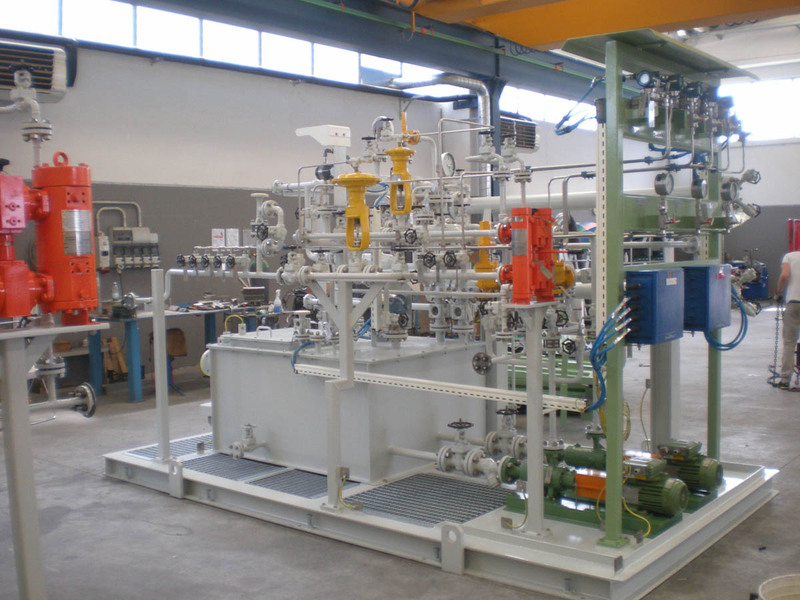 It is also used in applications where the process may solidify in contact with atmosphere or in applications where additional heat removal from the inner seal is required. 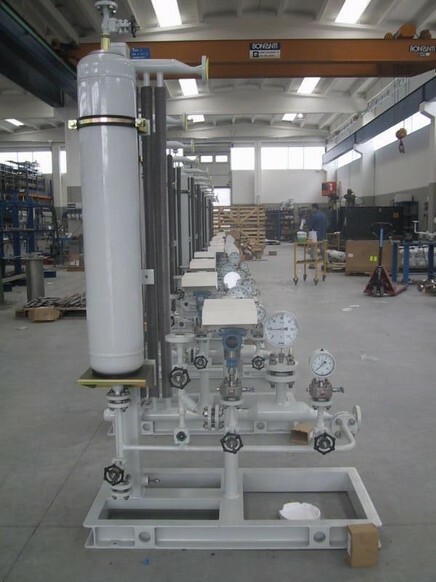 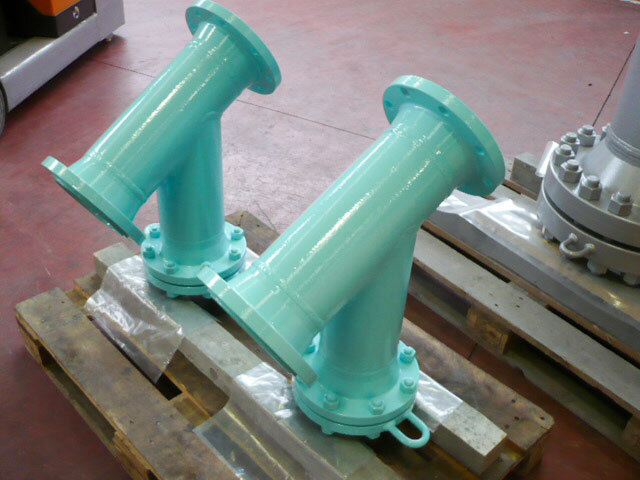 The buffer liquid is contained in a seal reservoir which is vented to a collection system, thus maintaining the buffer system pressure close to atmospheric. 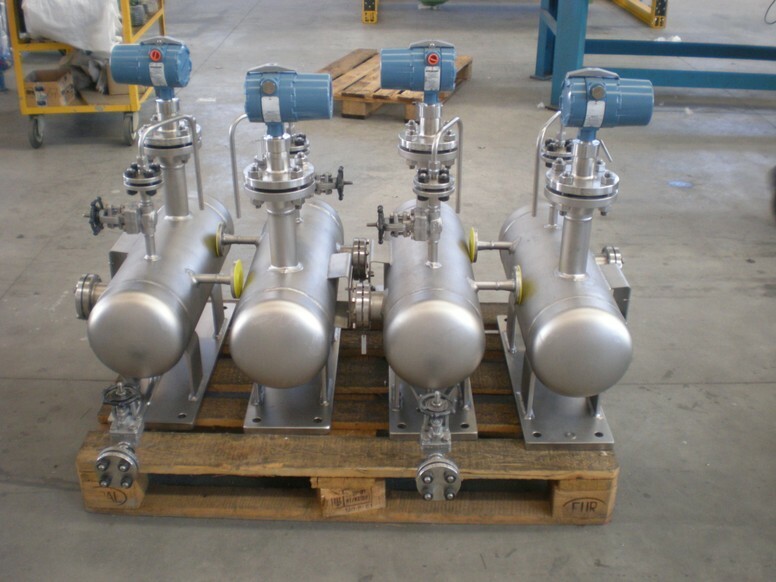 Buffer liquid is circulated to and from the reservoir by means of an internal circulating device. 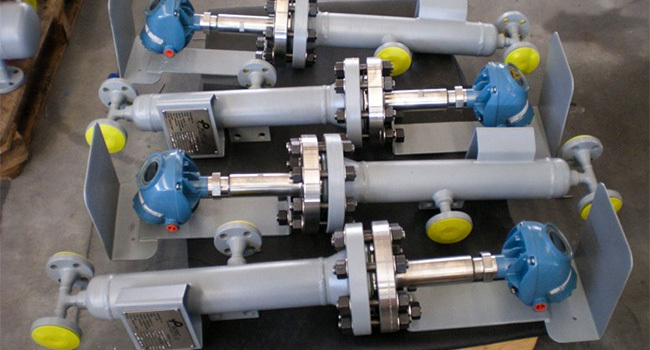 A Plan 53A system consists of dual mechanical seals with a barrier liquid between them. 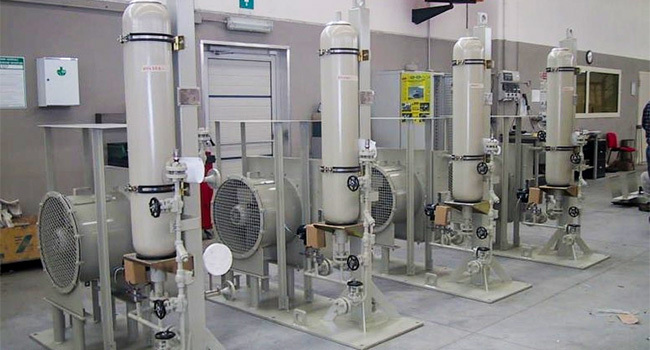 The barrier liquids contained in a reservoir which is pressurized above the seal chamber pressure. 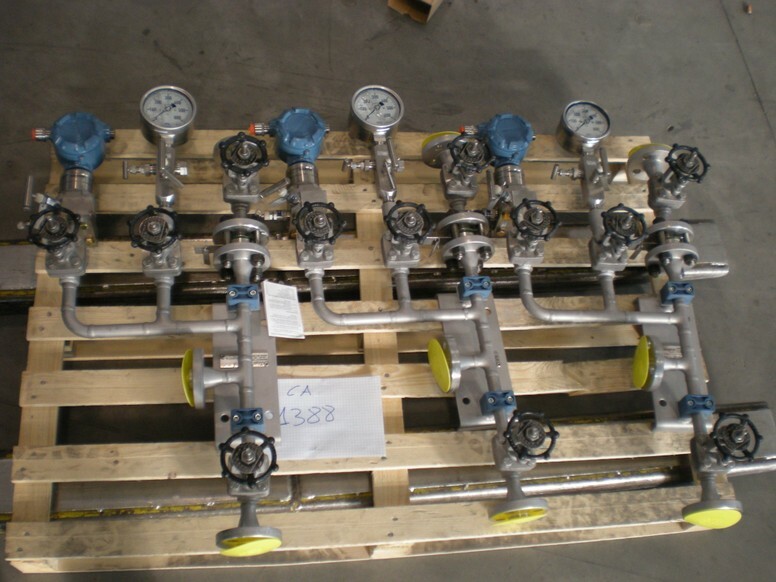 Inner seal leakage will be barrier liquid leakage into the product. 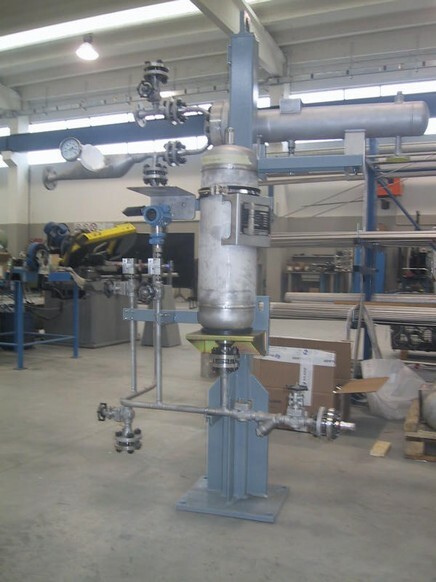 In Plan 53A there is a pressurized external barrier fluid reservoir supplying clean fluid to the barrier fluid seal chamber. 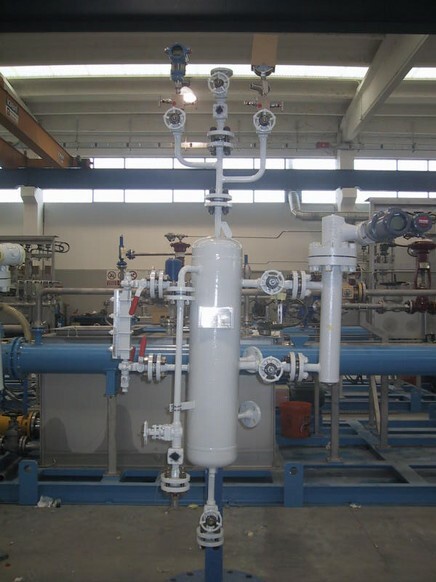 The barrier liquid reservoir is pressurized by an outside source, typically the plant nitrogen system, and it is maintained at a pressure greater than seal chamber pressure. 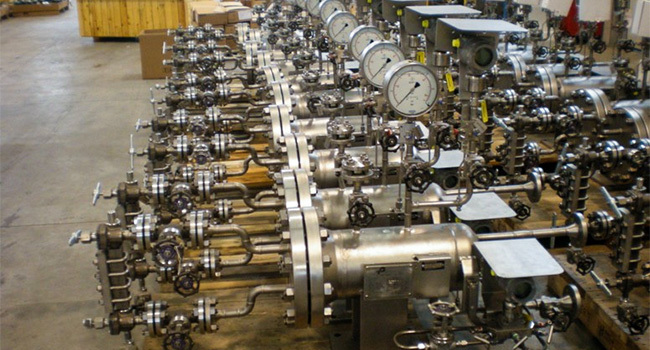 In Plan 75 there is a containment seal chamber leakage collection system for condensing or mixed phase leakage on Arrangement 2 seals. 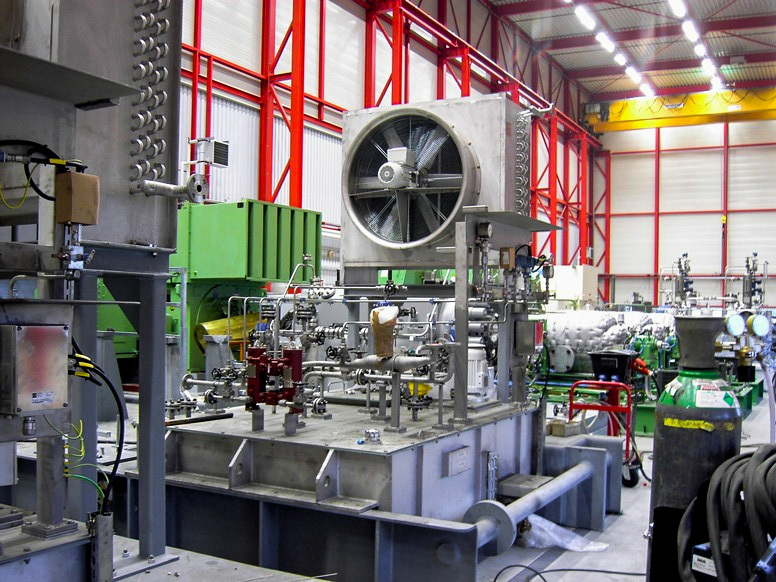 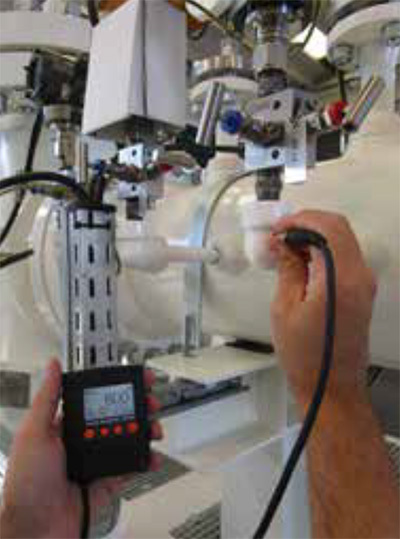 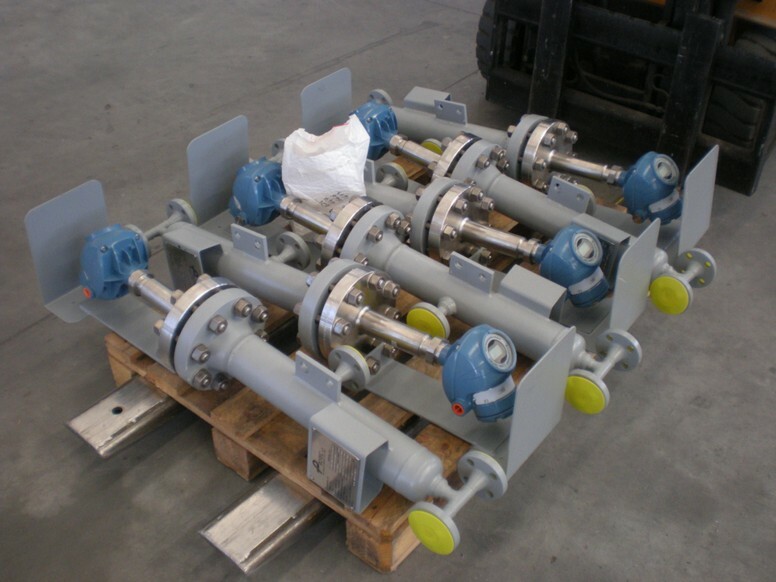 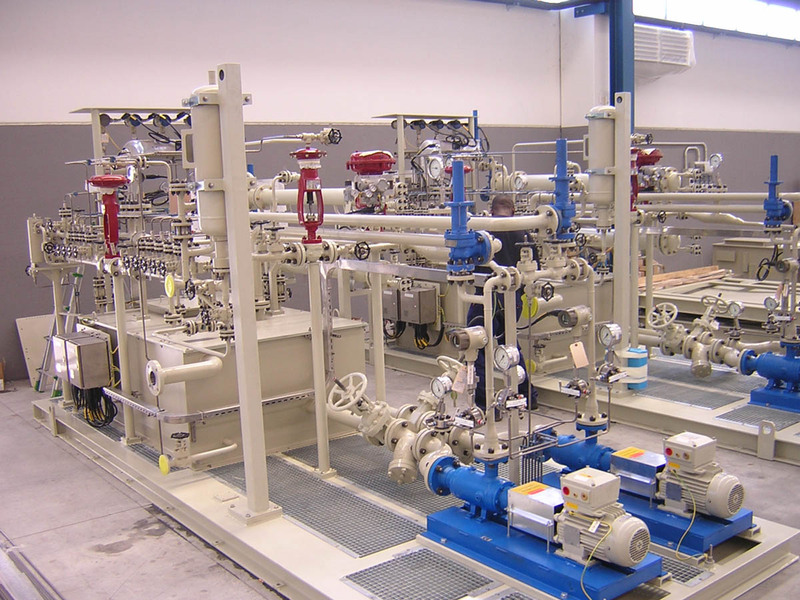 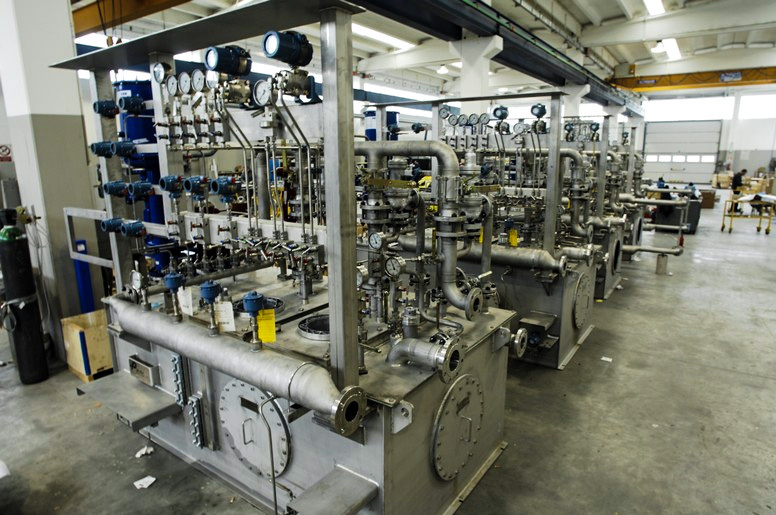 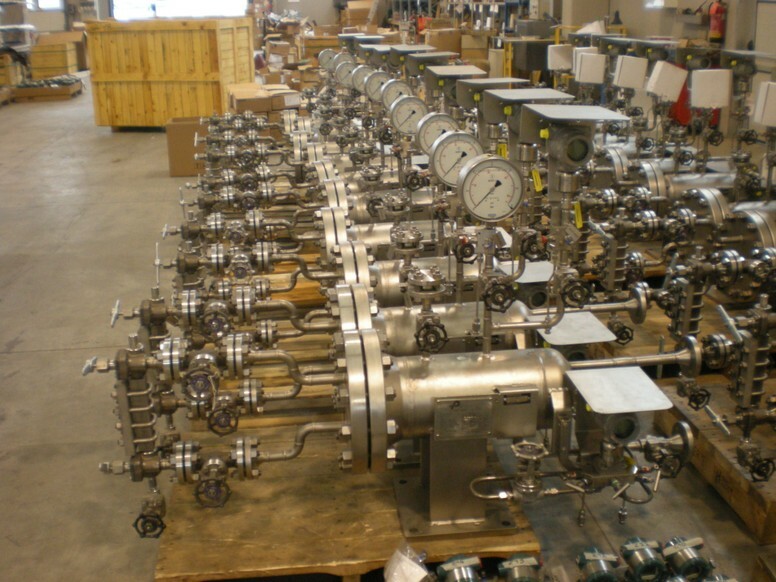 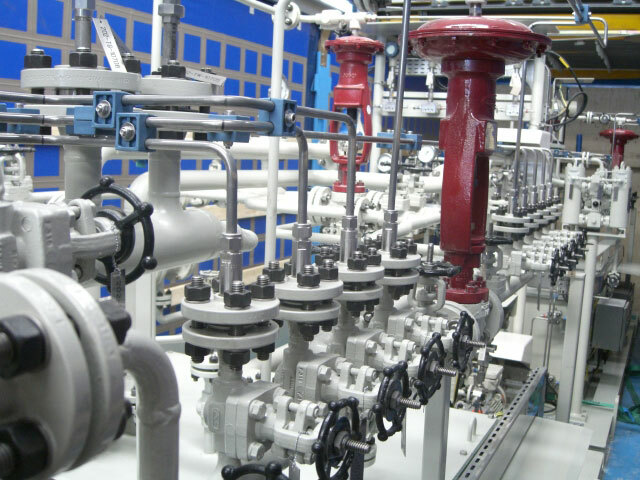 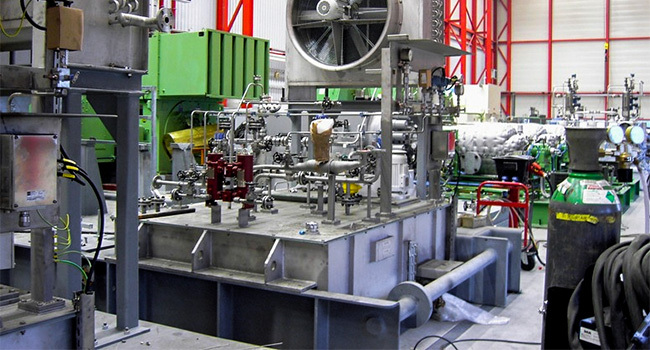 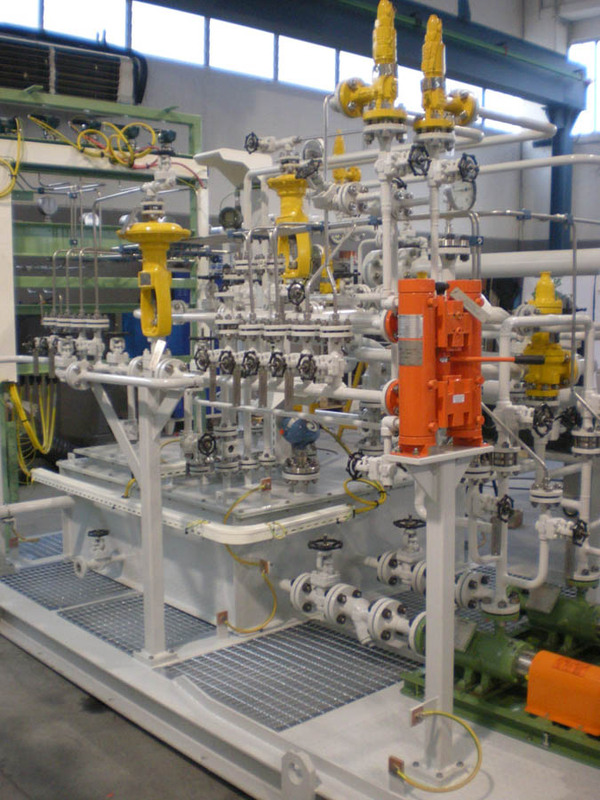 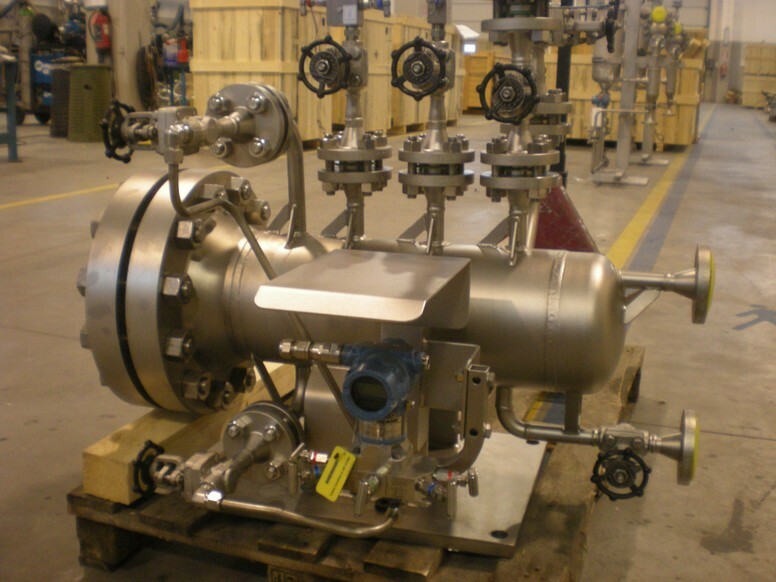 Plan 75 systems are typically used on unpressurized dual seals, which also utilize a dry containment. 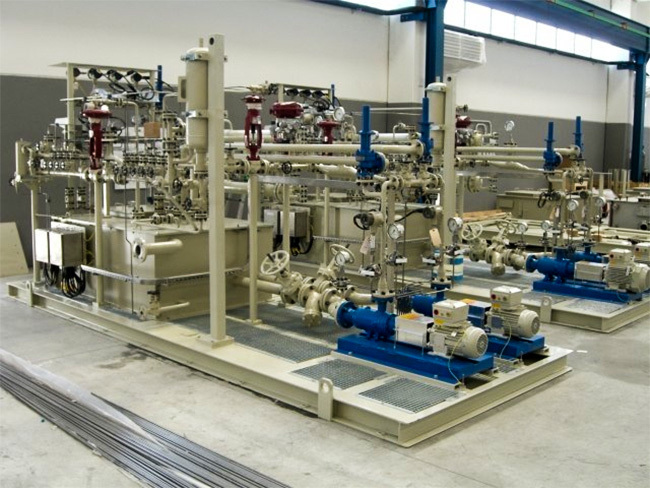 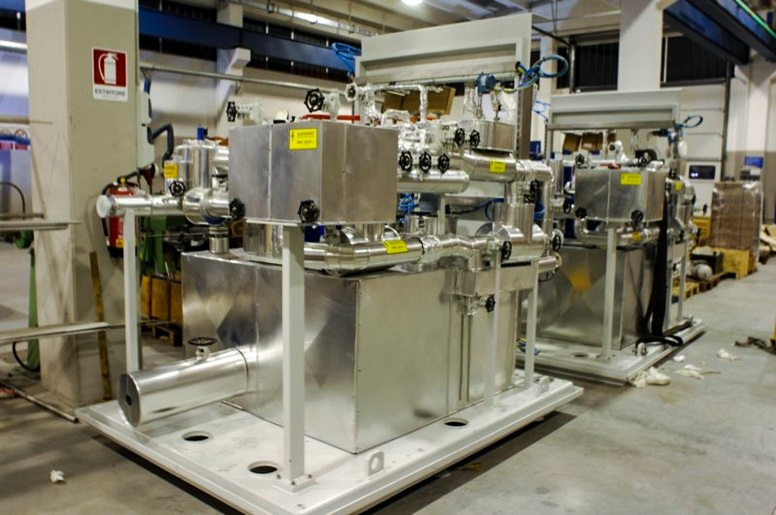 It is intended to perform the collection function for pumped fluids that may form some liquid (condense) at ambient temperature.They may be used with a buffer gas (Plan 72) or without a buffer gas (Plan 71). 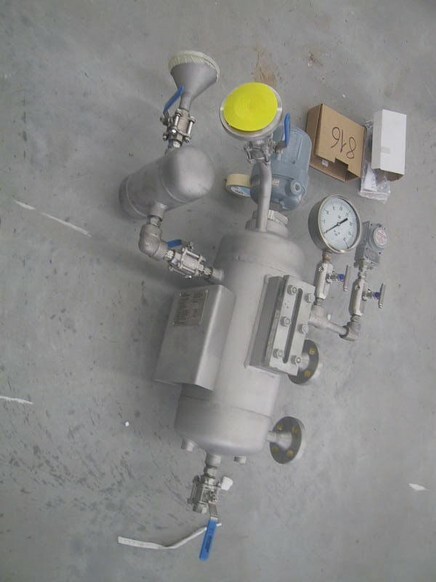 In Plan 72 there is externally supplied buffer gas for Arrangement 2 seals. 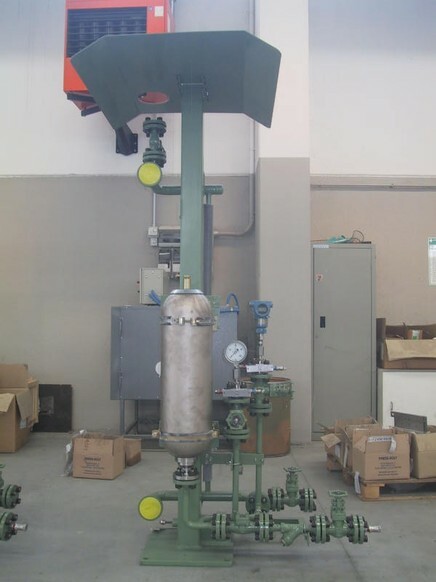 Buffer gas is maintained at a pressure less than seal chamber pressure. This plan may be used alone or in conjunction either with a Plan 75 or Plan 76. 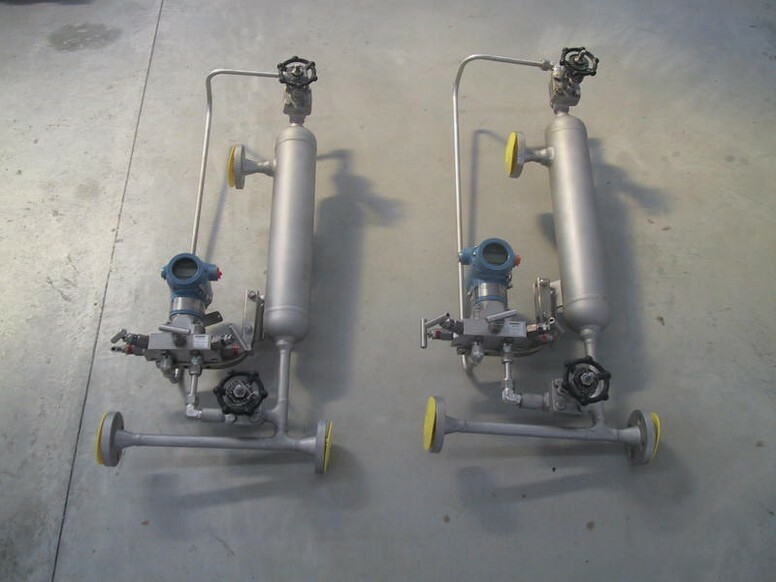 The buffer gas can be used to sweep inner-seal leakage away from the outer seal to a collection system and/or dilute the leakage. 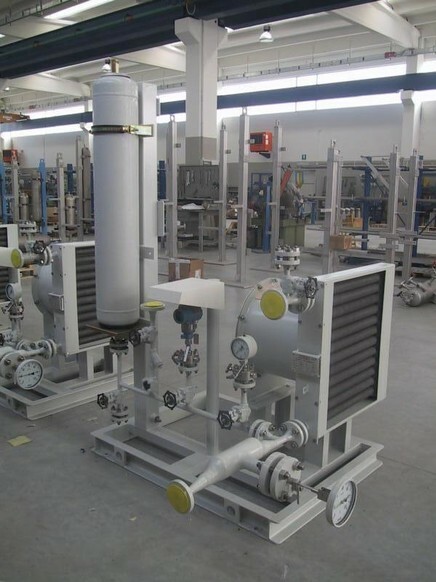 Seal Flush coolers shall be arranged with the seal Flush fluid on the tube side and the cooling water on the shell side. 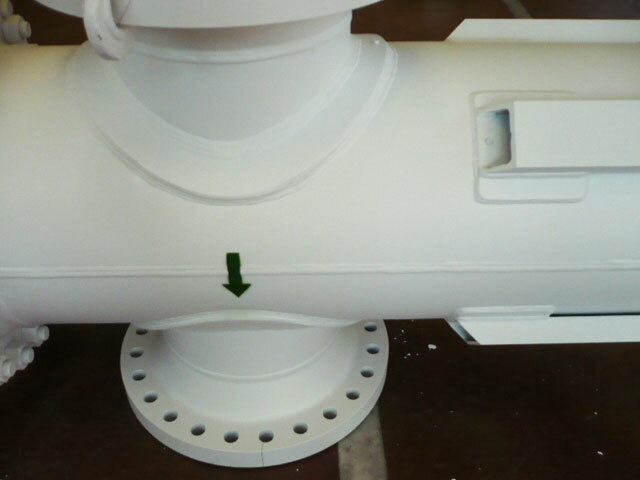 It shall be arranged for complete draining and venting of both the water and process sides. 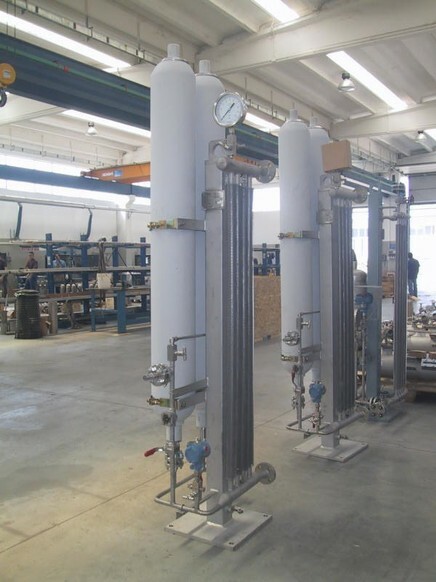 The air cooler shall be constructed with finned tubing and arranged with the seal Flush fluid on the tube side. 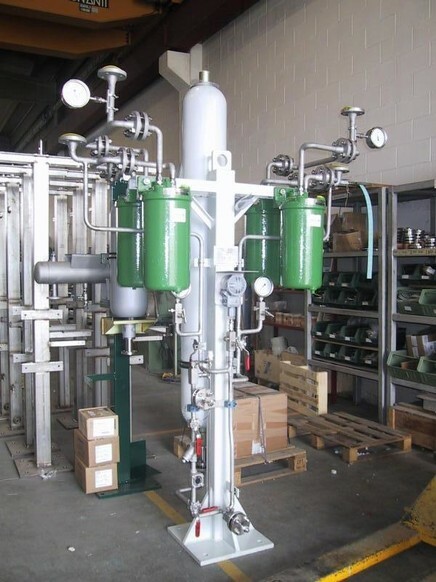 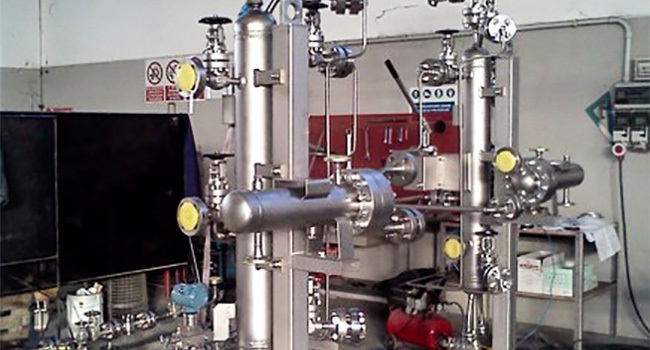 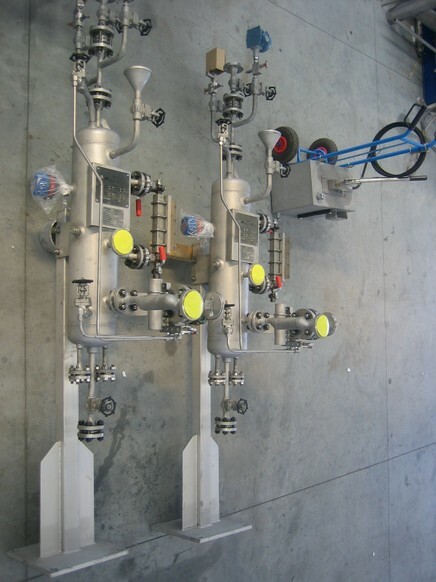 The Chemical Injection Package is a customized compact system and serves the purpose of injecting a precise and accurate amount of chemicals into a system with the required back pressure, either continuously or intermittently. 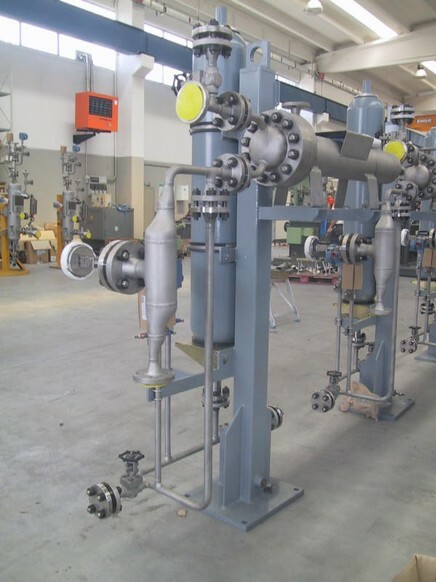 The purpose of injecting the chemicals into a system is to protect the mechanical integrity of the system from accelerated corrosion and prevent scale formation. 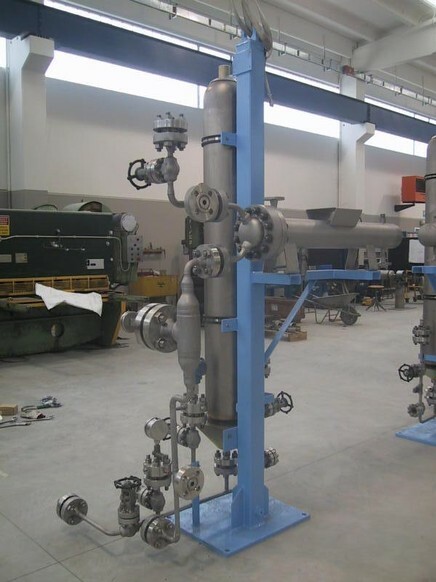 The aim is also to control hydrate formation, prevent oxygen induced corrosion, emulsion breaker for rapid and sharp separation of water from oil, reduce wax formation, water treatment, Odorization, foam control etc. 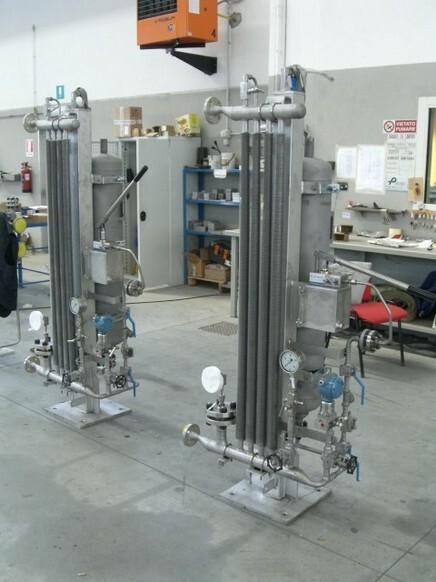 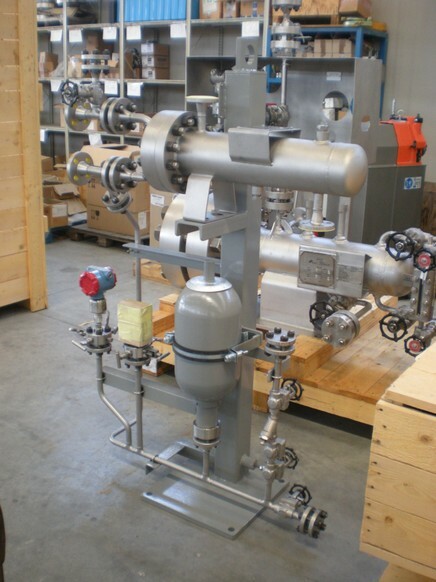 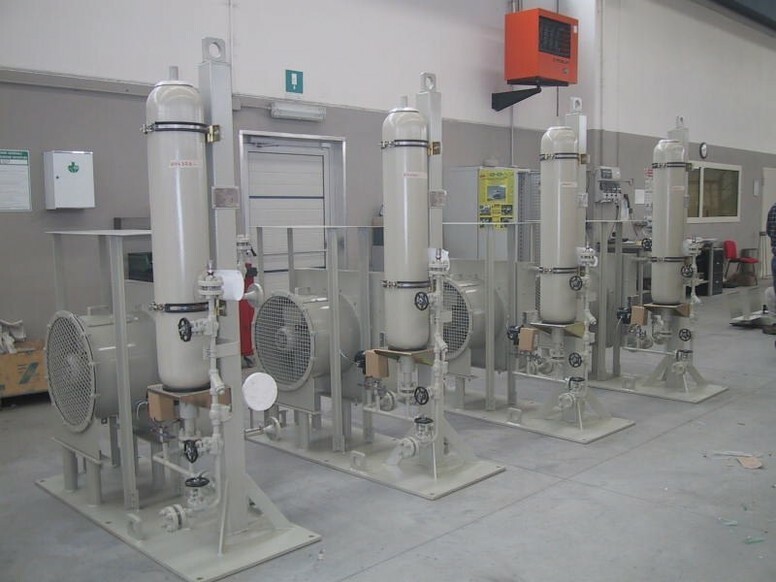 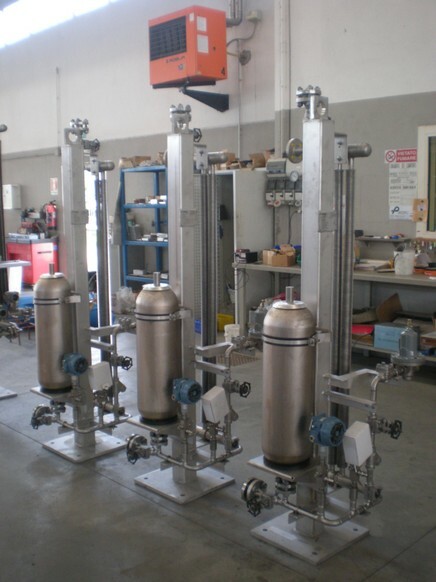 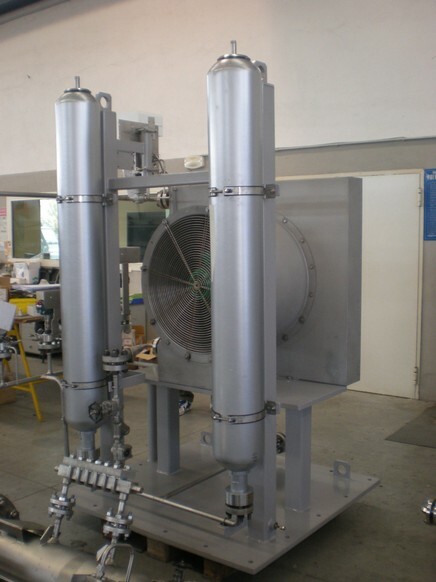 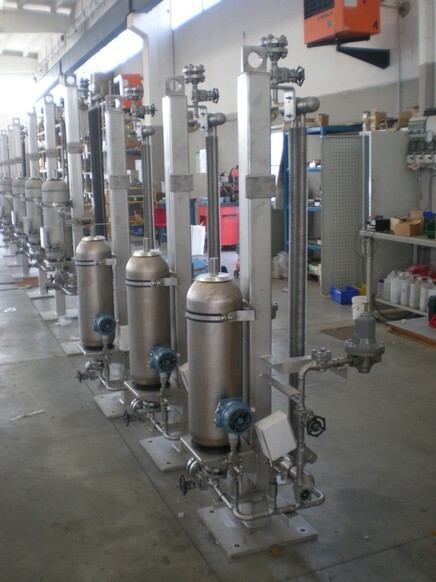 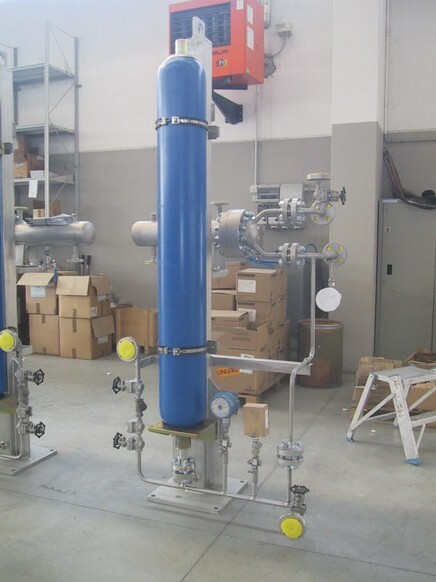 Filtration Packages are used to clean a solution from the main impurity. 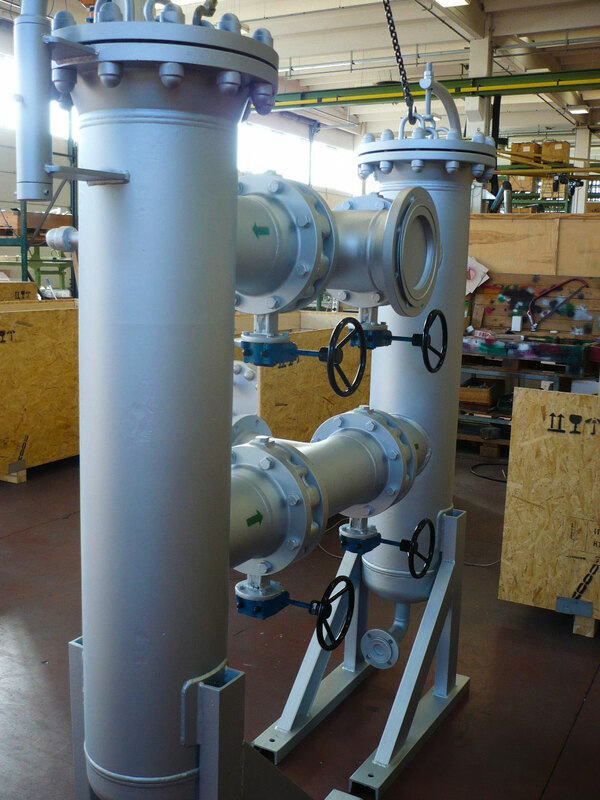 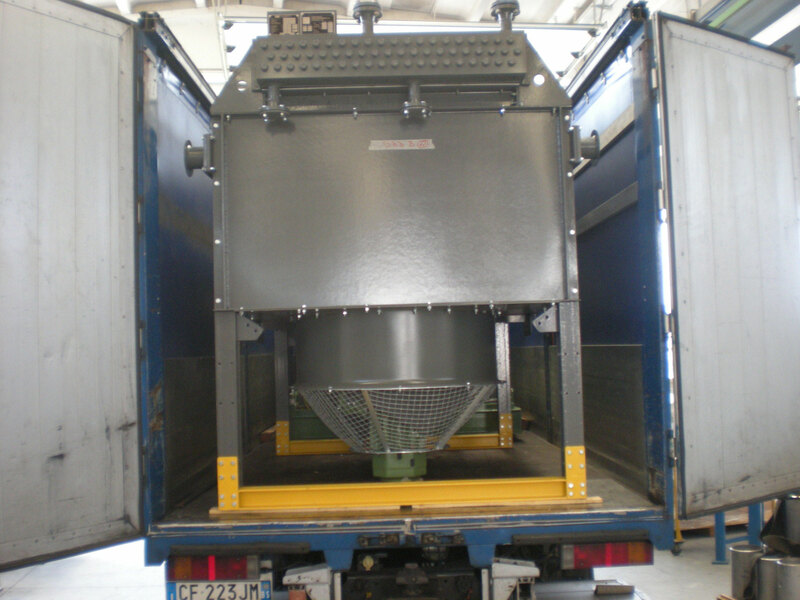 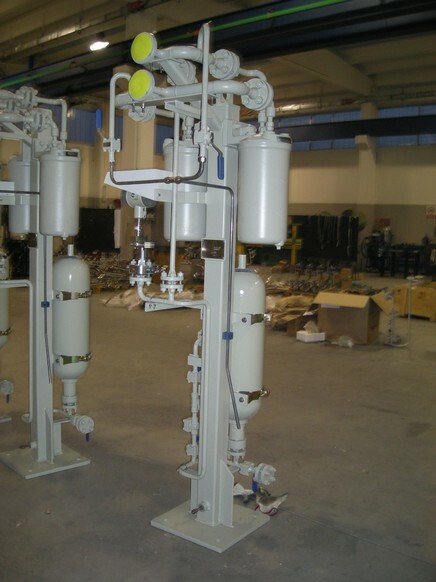 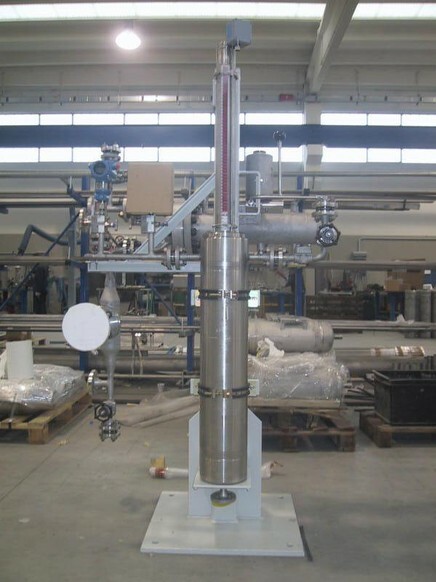 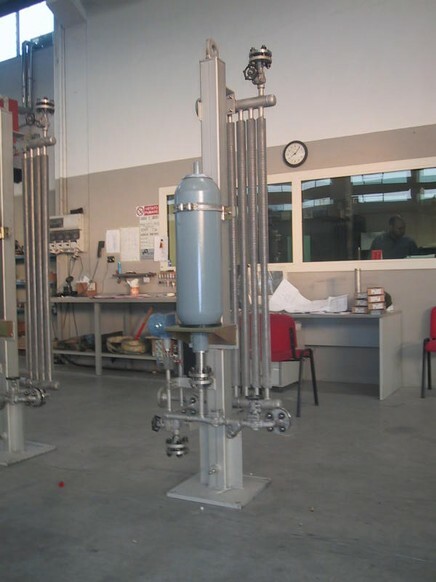 The main component is the Filter wich is assembled together with the others components in a base-frame. 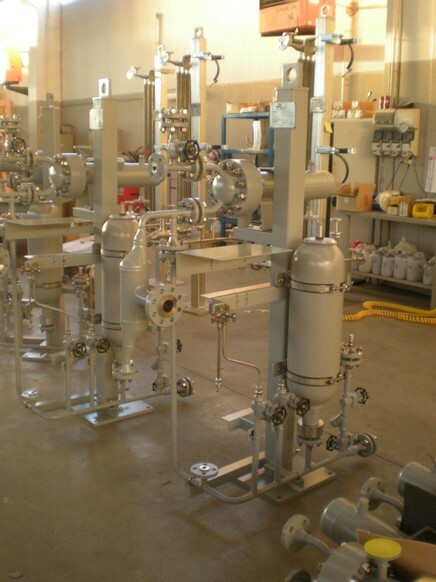 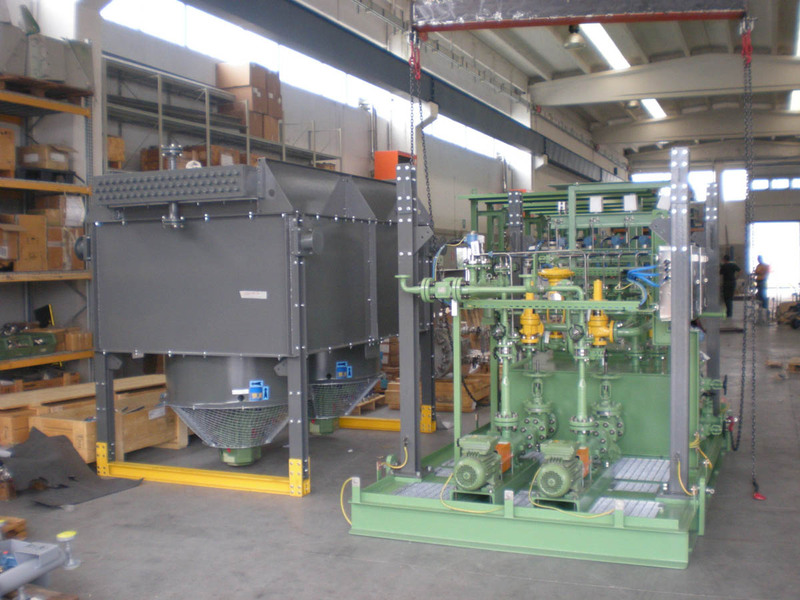 Filtration Units are customized solutions. 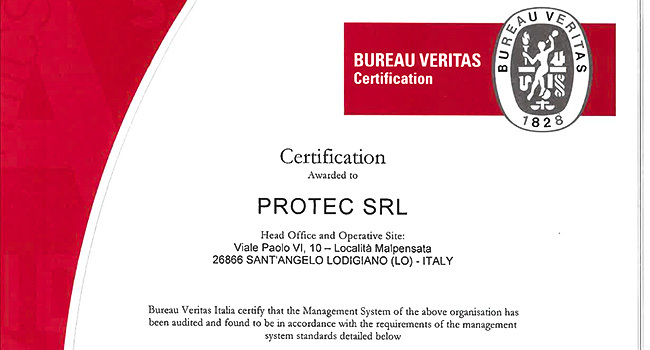 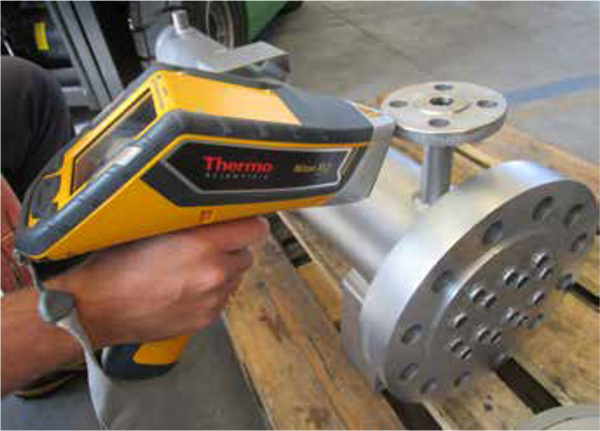 Protec is supporting a Quality System in accordance with ISO 9001 and ASME “U” Stamp quality manuals. 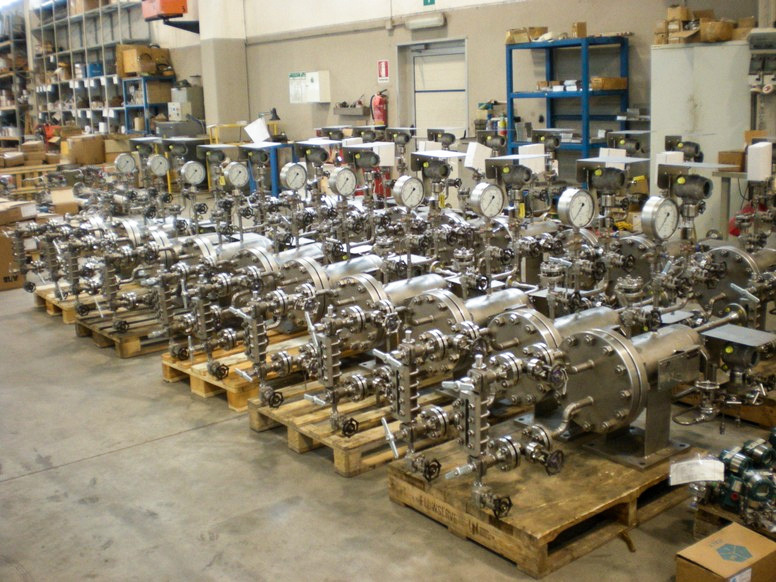 We aim to improve our business with a profitable co-operation with our customers assuring overall: • High technical and quality standards as an absolute guarantee; • Control of costs • A scrupulous respect of delivery times • Flexibility We are able to assure the respect of such requirements thanks to our simple and flexible company structure.